Five kids will star as an animated avatar with their favourite hero Chhota Bheem. POGO, kids’ favorite TV channel, is offering kids a never before opportunity to be a part of their much loved show Chhota Bheem. 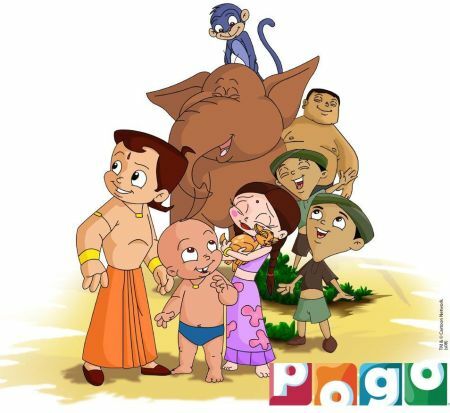 POGO today announced ‘Bheem Ki Team’, a nationwide contest that will give five kids a once in a lifetime opportunity to star as an animated avatar with their favourite hero Chhota Bheem and his friends in a special on-air vignette on POGO. Through an on-ground school contact programme kids will be invited to send in their reasons why ‘Bheem Ki Team needs him/her’ and (five) kids with the wittiest answers stand to win this exclusive chance. “POGO’s remarkable Desi Toon, Chhota Bheem is not only a rating rocker but also kids’ favorite hero in India. Seeing the immense popularity that Chhota Bheem enjoys amongst kids, we decided to create this innovative initiative where ‘real-life’ fans meet and star with their favourite ‘animated’ hero. At POGO, it is our constant endeavor to provide and create multiple platforms for our viewers to interact and build a bond with characters they see on-air and the Bheem Kee Team contest is all about rendering this experience.” said Monica Tata, Vice President and Deputy General Manager, Entertainment Networks, South Asia, Turner International India.